The staff at Dr. Urshan’s Largo weight loss clinic are standing by to help you achieve your weight loss goals, even if you have certain health conditions that might limit your mobility and activity level. Often a person gains weight because they think they can’t exercise enough or don’t have the expertise to create the right type of diet plan. Dr. Urshan can develop a medical weight loss program that is right for you! No pills and injections are needed – We are proud of our natural and non-invasive methods to lose weight. Your unhealthy food cravings are reduced, so you won’t be obsessing over food. You will receive individualized counseling and program customization. We target abdominal fat by increasing regular moderate intensity exercise. Your risk of diabetes, high cholesterol and certain types of cancer may be reduced**. You will be under a doctor’s supervision. Your biological preferences, imbalances or weaknesses will be reset** through an individualized approach that is unique to the findings on your Resonant Frequency report. There’s no pre-packaged food. Your fat burning will most likely be increased, and as a result, your fat storage will be decreased. We will balance your neurotransmitters and detox your body**. We’ll provide you with a comprehensive health evaluation, a healthy and nutritious diet plan, a personalized exercise regimen to meet your specific needs, an individual assessment, and a weight guidance counselor who will help you to achieve the medical weight loss you desire. 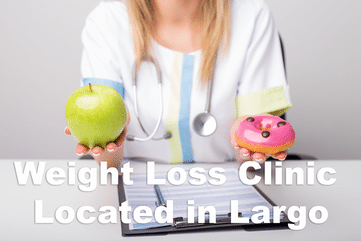 If you live in the Largo area, contact Dr. Urshan and our qualified team of professionals at our weight loss clinic today to schedule an appointment or a consultation. There’s no time like the present to start shedding those unwanted pounds in a healthy, supervised manner.